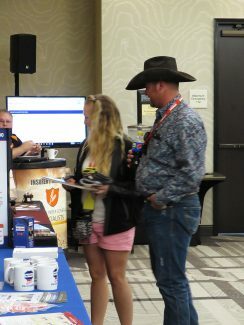 Cattlemen attending the seminar visit during a brief break. 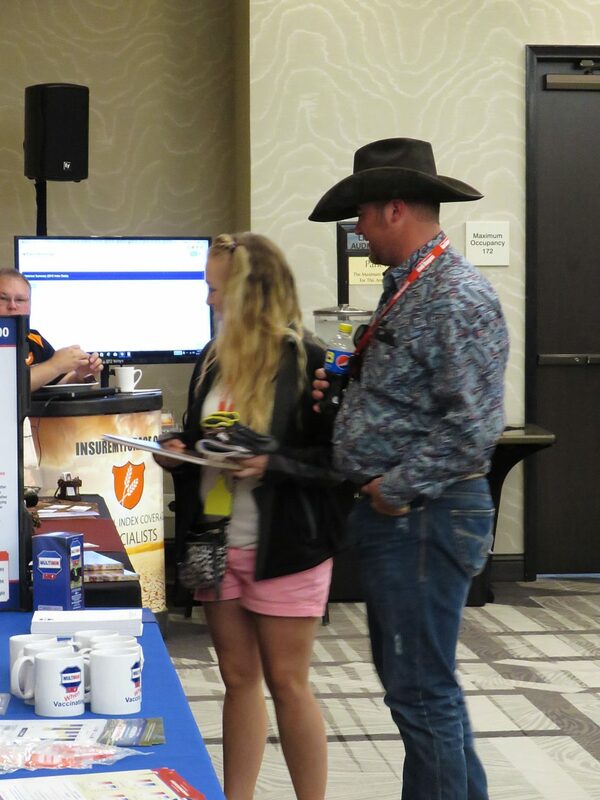 Heather and Dustin Daily of Deertrail, Colo., pause to visit with vendors at the trade show. 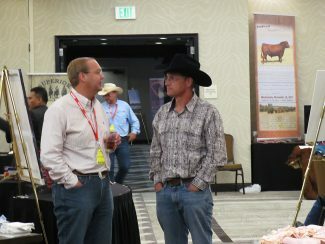 Ryan Ludvigson, left, of Billings, Mont., visits with John Jung of Minot, N.D., in the trade show area during break. 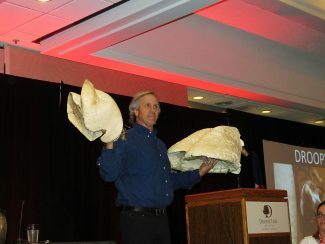 David Lalman of Oklahoma State University discusses cow size and efficiency. Tim Holt of Colorado State University shows producers how big the lungs are in a cow during his presentation on high altitude disease. Commercial cattlemen learned tips for improving profit in their beef cattle herds at a Commercial Cattlemen's Symposium held during the National Red Angus convention in Colorado Springs, Colo. 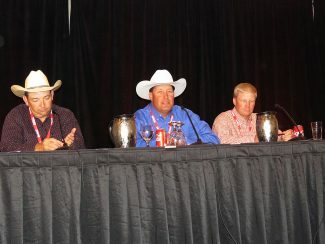 Ahead of the conference, Tom Brink, CEO of the Red Angus Association of America, said this year's lineup of speakers were outstanding. 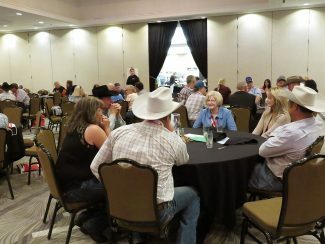 "They will be covering a host of topics designed to help producers improve their productivity and create better bottom line results," he said. David Lalman of Oklahoma State University kicked off the day's events discussing the controversial topic of ideal cow size and efficiency. 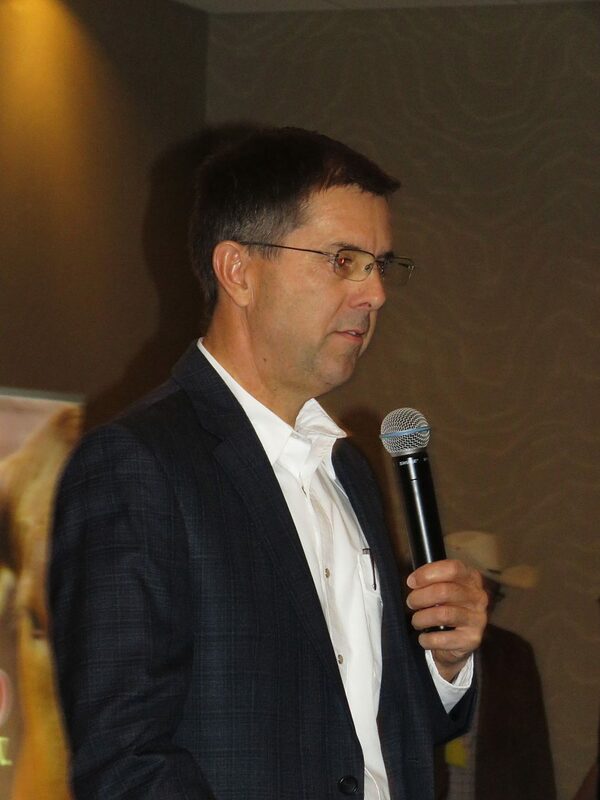 Lalman told the packed room of producers that when it comes to size, "it is a never ending arms race for growth in the cattle industry. At some point, we will have to determine when its enough," he said. Within the next 10 years, he thinks, the industry will moderate its rate of growth regarding cow size. "I think, as a producer, you have to ask yourself what good does continued selection for growth do for my cowherd at home?" 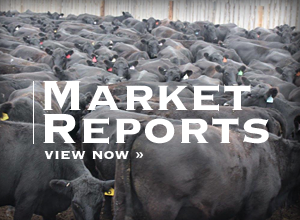 Referring to industry data, finished cattle weights continue to increase by 9.4 pounds a year. However, with that increase, comes better quality, he said. "Almost 80 percent of the cattle grade choice now, but I think the incentives for cattle grading prime will continue to drive the industry to produce even better cattle." Cutability has declined, which means the lower the yield grade, the leaner the cattle, Lalman said. 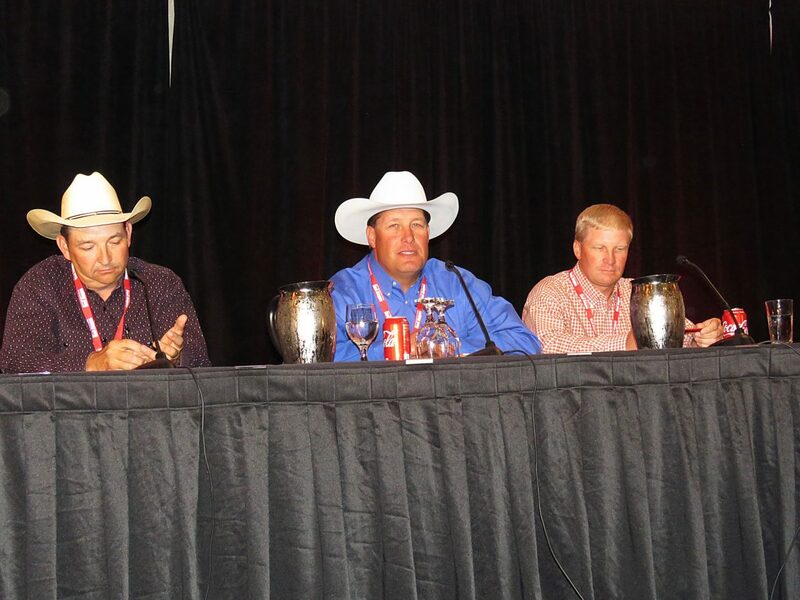 "We are seeing fewer cattle grade one or two, and more cattle are yield grade three now." In the beef cowherd, Lalman told producers the number of exposed cows that wean a calf hasn't significantly changed since 1991. Cattle in the Southern Plains naturally have lower fertility because of heat stress, more parasites, and less fertile Bos Indicus influence, he said, but what about in other areas? "Commercial cowherd fertility has made little to no improvement, except for dystocia," he said, adding it is an area where more research is needed. Lalman also addressed the beef industry's direction in selecting cattle for milk production. He said the average commercial cow produced 12 pounds of milk in 1984, according to data from the National Research Council. By 2016, that number had climbed to more than 20 pounds. Research conducted at Oklahoma State University found that number closer to 31 pounds at peak yield in commercial Angus cows, Lalman said. The more milk produced by the cow, the higher her year-around maintenance requirements will be, he said. It is also related to an increase in visceral organ mass, he said. Tim Holt, a veterinarian at Colorado State University, said cow size is increasing faster than visceral organ mass, which is contributing to brisket disease in cattle living at higher elevations. "At high elevations, there is less oxygen available for you to breathe, so your respiratory rate increases to compensate," he said. "If you come to higher elevations, you become hypoxic, and shunting of the blood vessels will occur. Blood will be pushed from the bottom of the lungs to the top of the lungs, when there is more oxygen. In cattle, the blood vessels get smaller in higher altitudes, which causes the vessels in the body to shut down. When the vessels close off, blood can't get to the lungs, called vasoconstriction. It makes the heart rate pick up, and since the blood has no where to go, the animal will get brisket or high altitude disease." "When the heart is pounding, the animal can go into congestive heart failure and die," he said. "It is a heritable trait based on the animal being hypoxic. That is why we do pulmonary arterial pressure (PAP) testing in cattle that are above 5,000 to 6,000 feet," he said. 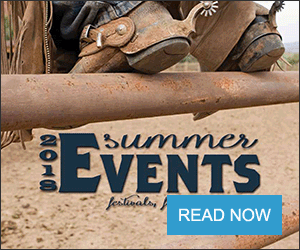 The test is key for cattle producers who raise bulls in high-altitude areas. Since brisket disease can be a hereditary condition, Holt said producers only sell bulls with low PAP scores. "Only two other species get high-altitude disease," he said. "Swine and poultry. Poultry get it because the industry bred for bigger birds that outgrew their heart and lungs." When Holt started PAP testing cattle in 1979, the disease was occurring in cattle at 7,000 feet or above, but since then, he sees it at lower elevations. "A lot of cattle die within weeks of being slaughtered," he said. "We are genetically building animals that are outgrowing their cardiovascular systems. We need to select animals with bigger lungs and heart to withstand higher altitudes."